Award-winning author K.M. Weiland’s previous book, the acclaimed Creating Character Arcs, showed writers how to identify the five most important types of character arcs and use them to bring your own characters to life with stunning and powerful realism. Now it’s time to put those lessons to use! Building upon the principles you’ve already learned, the Creating Character Arcs Workbook presents a guided approach to choosing the right type of character arc for your story, joining plot and character into a cohesive and resonant whole, and choosing stories with life-changing themes. This accessible and streamlined workbook will empower you to create resonant character arcs—and an outstanding novel. Fantastic and helpful book for an emerging writer. I am drafting my first novel and this book is filled with insightful questions that must be answered so that I can engage my readers with the journey of my protagonist. Especially useful are the questions about the ghost and the lie, because they force writers to think more deeply so we can convey the iceberg below the surface and go beyond describing daily activity. The insight that this should apply beyond the MC to the antagonist and the sidekick and other important characters adds layers of complexity to the struggle of the main character, and makes the job of the writer that much more fascinating. I received an ARC copy for an honest review. K. M. Weiland has a way of showing you what she means and giving you tools to put it to action. This companion workbook to Creating Character ARCS is no different. I highly recommend this and all her work. I've never been disappointed. 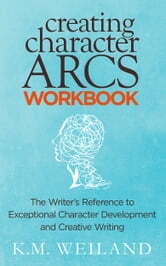 The Creating Character Arcs Workbook is an excellent resource for writers on the go. (And, let’s face it we’re writers, when aren’t we?) This workbook is the companion to the writing craft book “Creating Character Arcs,” by Ms. Weiland. I have found the workbook of particular use in the development of my secondary characters as I work through my first draft. The instruction in the workbook is effective for its succinct nature. In the middle of my first draft I don’t want to slow down and read an entire chapter of a writing craft book, just to find that one sentence that I read forever ago, that I know will help me solve my character arc problems. I want efficiency. 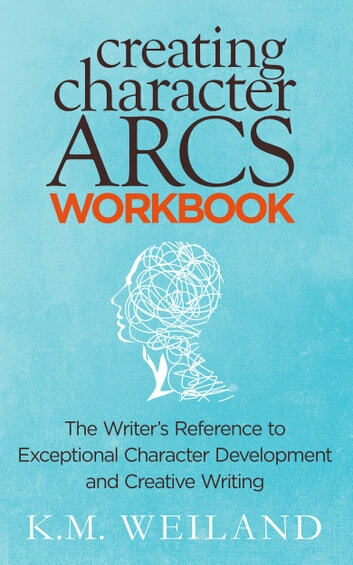 (Because we’re writers, so this is probably our second job) The Creating Character Arcs Workbook has crystallized information that clarifies the essentials of character arc creation. The workbook contains a wealth of information. Questionnaires, diagrams, and examples of arcs from familiar stories streamline the character development process. TL:DR Skip your latte/ whatever your vice is and go get this workbook if you want a quick and dirty reference for all your character arc needs. "We thought we had the answers, it was the questions we had wrong." Bono Check! Got it! Asking ourselves the right questions is critical to success. But … simply knowing which inquiries are the “right questions” isn’t so simple. It’s miserable, in fact, when we, as young writers, can’t even identify the writing problem at hand. Good news, though. Thanks to K. M. Weiland’s new work, her “Creating Character Arcs Workbook,” we needn’t lose ourselves in the numbing confusion of misleading questions. Skip the drudgery! Want to create a killer character arc? Get the book. Like her other invaluable works on craft, the internationally acclaimed novelist offers priceless strategies in this book as well – and guides us, moreover, to the best book we can write. Included: •	The Positive Change Arc •	The Flat Arc •	Negative Change Arc 1: Disillusionment. •	Negative Change Arc 2: Fall. •	Negative Change Arc 3: Corruption. It’s a great book. It’s the sum of her prolific talent. Which is ample. The workbook is so dense with knowledge, in fact, that, by the time you finish reading it, you’ll feel as if you’ve experienced a personal mentorship with her. I say this because Ms. Weiland shares more than just knowledge; she shows how to work intelligently. You owe this book to yourself. If you aspire to write, if you write and wish to improve your skills, if you’re a published author and wish to compose novels faster, then the only right question is this: Will you get a copy? I think K.M. 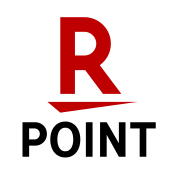 Weiland's website is a great resource for writers and I love the series where she dives into a topic spending weeks or months exploring everything you could possibly need to know. With this book, she has taken one of the series that has helped me the most and turned it into a workbook. I enjoy writing character arcs because of how they allow me to know how my character should be acting or reacting at any given moment of the plot. This book walks you through the entire process of creating your character arc. First, you'll read a chapter about which arc is right for your story and how to know if you're choosing the right arc. Once you've selected an arc the book is divided into sections so you only see information pertaining to the arc you are currently working on. What I found most useful was the corresponding page numbers for the "Creating Character Arcs" book which I referred back to a number of times. You don't need to have the other book but since I already owned it I took full advantage of the extra resource. For my character who had a flat arc, I wrote eight pages (front and back) worth of answers to the thought-provoking questions the workbook poses. Even if you write more or less than I did I think you'll come finish this book with a better understanding of your character, plot, and theme.